Are you starting out or in the middle of your hair transitioning to natural hair? These tips I’m about to share might be of help to you. Some of you may have failed the transitioning process the first time, and believe me and I’m sure you’ll agree that it’s not easy to get it right the first time. But it is important to know why we fail and we should learn from that failure. I had my share of on and off trial, I had at least three tries to get to natural hair stage before I successfully reached the transition stage. And I realized that one of the main reason of my transition failure before was because I didn’t want it so badly, I didn’t work hard for it, because if you are truly decided on one thing nothing can stop you from doing it, you won’t have doubts and second thoughts. So the first thing you should keep in mind whenever you want to go through hair transitioning is to ask yourself why are you doing it? 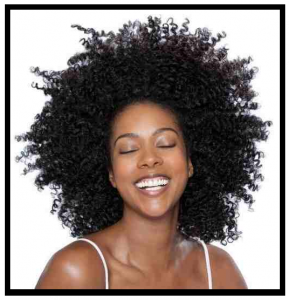 Are you going natural because you really want it or is it just something you want to try? Going natural isn’t just a whole morning process, it takes time and patience, it’s also kind of spiritual, mental and emotional process as well. The second tip would be to identify the texture of your hair then accept and embrace your hair texture. You wouldn’t know what hair texture you have until you snip your ends. 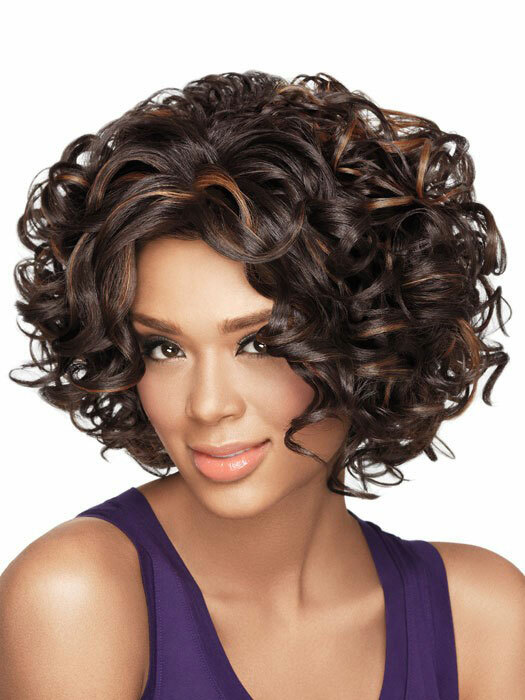 On my part during my transition process, I was really imagining my hair to be like this on the photo below, I thought I’d have like a super huge afro hair. But that is not the texture I have at all. Next tip is to never ever try to compare your hair to someone else’s hair. Every product that works for you may not work for them, or whatever products that works for them might not work for you. We each have different hair textures, you can’t do the routines that work for people who are way different from your hair textures. I only do routines that work conducive to my hair texture. You must be patient, do not quit easily, cause that is what I learned. I was impatient, when I saw that nothing is going right with my hair, I got frustrated so underwent hair relaxing twice. I got frustrated that time because I have planned going to this date looking pretty with my hair looking cute like my hair blowing in the wind but it didn’t happen so I got impatient. Next tip our fourth tip is to always remember that everyone’s transition is their own. Again, there are products or transitioning procedures that may work for others and not for you, or that may work for you and not for others. There are factors that you have to consider like your hair type or hair texture, emotional response or attitude also counts. Do not give in to your frustrations, if you do always make bad decisions or something that you’ll just regret or will slow down your transitioning process. From my own experience, because I was so impatient and I easily get frustrated I impulsively decided to cut my hair off after a year and half of waiting for the result I was expecting. After that, I realized what my frustrations were all about, I kept getting all these knots in the middle of my hair where the two textures meet, which could have been solved by just tossing some moisturizer or conditioner in there. Lastly, It is always best to have a contingency plan, if ever plan A won’t work I should have a plan B, C, D, E, F and G. Heck, you can finish all the alphabets if you like, the more alternative plan you have the better, it gives you hope to fix your hair issues. What I have now is plan E because I keep on trying something new that didn’t work so I’ll just stop until I get to the stage that plan worked. During my first tries on transitioning which mostly failed, and I failed because I was impatient, I later on learned and came to a conclusion that I should have an alternative plan and that is to have a “go to style”. It is like my default style when one style won’t work. So this “go to style” I’m talking about is basically just the two twist style, where my hair is spread down in the middle then just two regular flat twist. I have a 3B hair texture and my front is always kind of frizzy. I just do this two twist style whenever I give up trying other styles. What I would do is just twist them with Cantu Shea Butter leave in conditioning repair cream, hold the hair back but not too tight then put a pin around but I’d slip down my edges a little bit, then finally put on my hair’s bestfriend the bandana. 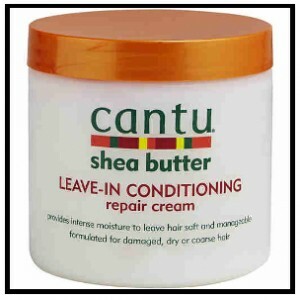 First I’d towel dry my hair, then apply a generous amount of Cantu Shea Butter leave in conditioning repair cream from roots to tips evenly distribute them, but put more emphasis on the problem area. After that I’d do my two twist go to style and wrap it with a bandana. This bandana has saved me from many bad hair days, especially when it is raining or humid or windy. I’d just wrap my head with a bandana and puff! It’s so easy and saves me time, and I’m ready to go, hair is done. I always have it in bag, it’s really a saviour. 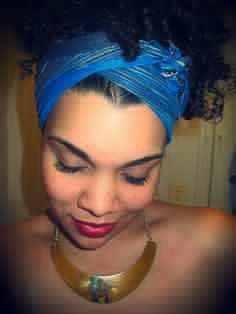 There are many different stylish ways to wear a bandana, like twisted updo and head wrap , head knot headband or hook knot headband. You can be creative as much as you want, just make sure it’s not too tight. You also can get a few ideas from these nice blogsites that I found, they feature some tips on how to do and style your hair. I will list the links below. This is all the tips I can share for now, if you have some good ideas or comments please do share. Hello dear readers, thank you for finding my article. And today you’ll be reading about my hair essentials and the products that I cannot live without. This is going to be like a review on the products that I use. I am not really gaining anything from this, I just want to introduce to you guys these beautiful products that makes my hair manageable. I have used so many different products and some of them didn’t work but I’ll only share those that did wonders to my hair. You see I now have a short hair, and having a short hair means having a limited hair styles options. And the best way for me to look better is to have a nice soft and shiny hair. And to have such, I take an extra care and attention to my hair. Let me share to you the products that has really helped me taming my hair. If you have a short hair like mine, or if you have an African-American hair texture, or relaxed hair, the products that I use might be of help to you. Let’s get started. For my shampoo, I use a Tresemme Smooth & Silky shampoo with Moroccan Argan Oil , and then its Smooth and Silky conditioner too. I used to have a dry, hard and brittled hair but when I started using the Tresemme Smooth & Silky Shampoo & its conditioner, my hair has been soft, smoother and more manageable, I just love this product. It really does what it says on the label. After shampooing and conditioning my hair with Tresemme product, I towel dry my hair and I’d apply a CHI Silk Infusion as my leave on conditioner. I so love this product cause it makes my hair so soft and shiny and smells good too. This big bottle last for over a year, mine did cause I don’t really put too much just a quarter size. And I apply this on my hair before I sit under a dryer. Then after I dry my hair, I can really feel the intense smoothness on my hair. Whenever I run out of CHI Silk Infusion, my alternative is to use this deep conditioning treatment cream, this one is Organic Root Stimulator Olive Oil Cream. I love this product because it’s non-greasy, it gives long lasting shine to my hair, and it makes my hair more manageable. This product is infused with coconut oil and essence of olive oil to add shine and moisture to your hair, leaves your hair silky, shiny and with intense smoothness, plus it helps strengthen your hair by protecting it from damage causing heat of the sun, or any of your heating tools. And before I forget, CHI has another product that I like using so much. It is the CHI Straight guard smoothing styling gel. It basically helps to dry straight hair, and it’s very useful to me whenever I use a straight iron after I get done with the whole drying, I’d apply just a little small damp size and rub it together and apply it on my hair at the top. And like the other products that I love, this one also makes my hair more shiny, it gives body to my hair and makes it more manageable, and it smells good too. I bought this one for less than $30.00 and its for over a year now, it really last a long time. If you choose to get this product, you get the best value of your money cause aside from CHI products really does as advertised, it is really a wise buy, you can save because it really last a long time. Another much loved product that I use before I sit under the dryer is EcoStyler Styling Gel. I learned about this product from my hairstylist, when I had my hair cut, she used this to smooth down my sides. But I can’t just go to hair salons all the time to get the hair style that I want, I should be able to do it myself too. So I bought this EcoStyler Styling Gel for curly and wavy hair. They actually have eight types of this gel which is appropriate for each hair types, and the one I use is the pink one which is for curly and wavy hair. It is ideal for holding angled or tapered sides. It has the scent of chamomile and I just love how it smells. It is anti-itch, alcohol free, doesn’t flake and makes your hair easy to comb. 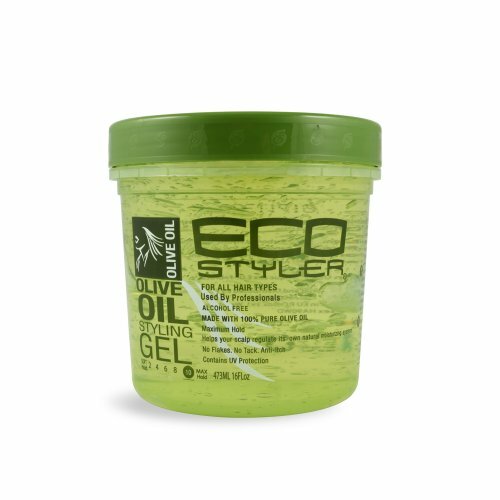 If you need a styling gel for your short hair, EcoStyler Styling gel is the perfect one for you. 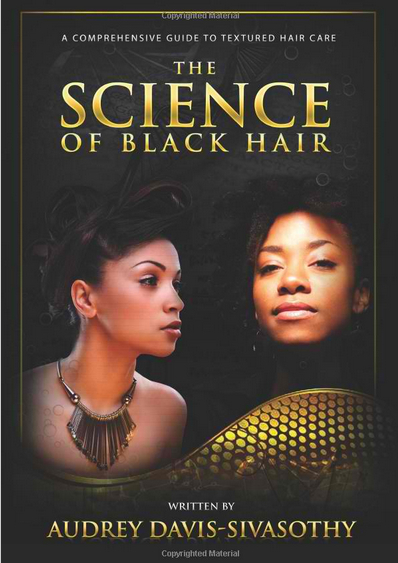 And it’s ideal for roller sets, finger waves, and wrap hair styles, and volume and shine to natural and soft styles. It is very affordable, I got mine for only $5.60 at CVS but maybe you can get it even cheaper like at Sally’s, or amazon or any beauty supplies and online stores. Another hair product that I like most is Pantene Pro-V stylers texture sculpting wax. It holds down stubborn hairs that sticks up. And the good thing is, this product is not greasy, it smells good, it doesn’t flake your hair and help smoothen the area especially your sides. 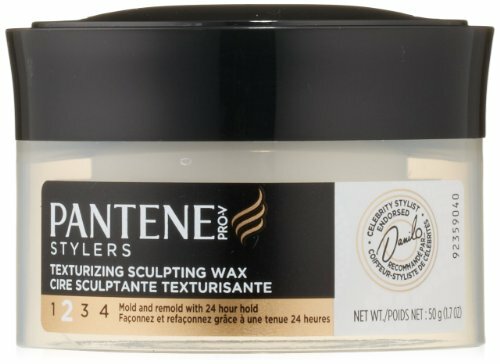 Pantene Pro V stylers texturizing sculpting wax is absolutely perfect for people with short hair. 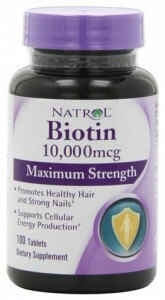 It helps you control your hair, with high hold definition. It definitely does what it says on the label. It is price friendly, not so expensive and you’ll really get what you paid for. 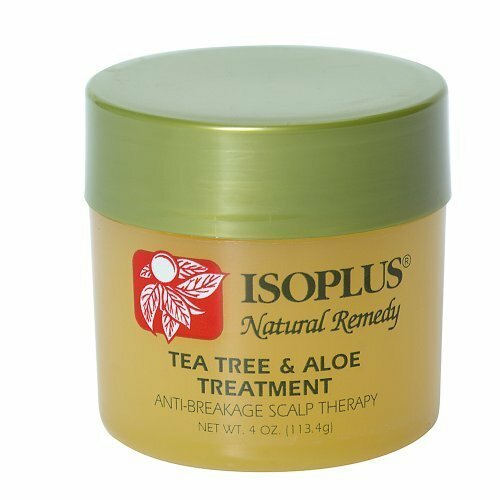 Another product that I use to add sheen to my hair is ISOPLUS Natural remedy Tea Tree and Aloe scalp therapy conditioner. it is sort of a hair grease, it relieves scalp itching and even dandruff as it soothes the scalp, it stimulates hair growth and moisturizes dry damaged hair. The tea tree and aloe content serves as anti-bacterial for dry scalp or skin. The aloe heals any abrasions and general scalp irritations. If for instance you burnt your scalp after relaxing your hair, this product is perfect to sooth your scalp and will help heal the abrasions fast. I probably bought this for $7 and you can find this anywhere in Walmart, or Sally’s or at any beauty supplies stores. So after all these procedures, after applying my CHI, and applying my root stimulator, I’d wrap my hair with mega wrap black strip by Sanek which I got from beauty supply store for less than a dollar. It is so flexible and manageable that it allows you to pull and stretch over your hair and make it as tight as you want. There is also a white version of this, but it is not flexible and it’s kind of hard, I really prefer the black strip one. 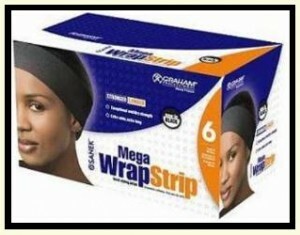 This black strip really helps my hair stay flat and in place and it doesn’t break easily it’s durable. This is very affordable and you can get it any beauty supplies near you. Now it is important that you know what type of comb to use for your hair. Mine I prefer using the rat tail comb since I now have a short hair, and I think everyone is familiar with this kind of comb. This is commonly used in the hair salons especially if you’re having a hair cut. 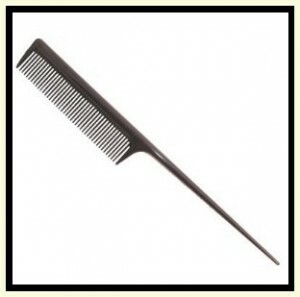 This type of comb makes it easy for me to pick out my hair when I want to curl it or even just parting your hair. It’s a skinny type of comb easy to hide. As for my hair dryer, I use Revlon 1875 ionic hair dryer. This one has an attachment where you can heat up certain spots. It also has a comb attachment. It his a settings if you want to set it on low or medium or high heat. I always use the medium settings, remember too much heat on our hair can cause damage, it dries up our hair and scalp. 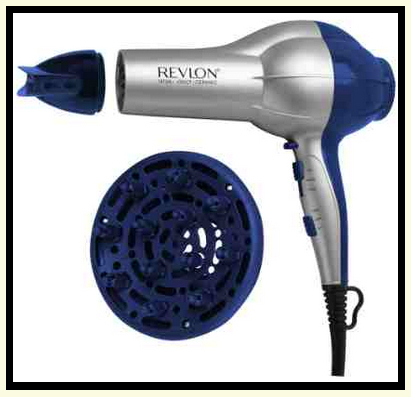 I got my Revlon 1875 ionic hair dryer from Target for only $20.00, it really was a best buy. This has been with me for almost 5 years now. And the last but not the least, my flat iron which is Jilbere Nano Ceramic Ionic Flat Iron, it’s so durable that is has been with quite a while now. I use this whenever I want to style my hair. This is perfect for curling or straightening your hair, believe me it does wonders to my hair, when my hair was long or even now that it’s short, I can still make hairstyles that makes me feel beautiful and confident. 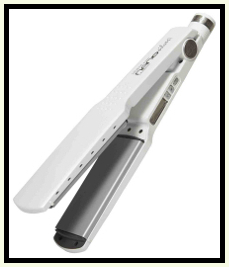 It is made of ceramic, ionic and nano silver technology, with dual heating elements that distributes heat evenly and it straightens hair up to 40% faster. It is nice and not so heavy, It can get really hot and still doesn’t snag your hair. I paid like $60 for this at Sally’s, yes it was a bit pricey. There’s no regret only gratitude since I bought this, so durable it has never had issues. What I love more about this flat iron is that it’s so thin that it can get too far the end to the roots. I’d be very very sad if mine will break or if the makers will stop producing this one, I wouldn’t know what to do. It’s really worth the price but it really can last longer as long as you know how to take care of it too as it takes care of your hair needs too. These are all the products that I can’t live without, I don’t feel confident going out without these products, they make me feel beautiful, comfortable and confident. I hope you find this article helpful and informative. Thank you for spending time reading this, if you have products that are worth sharing please do share by commenting below. Good day ladies and gentlemen! Today I want to share about my hair essentials and products that I can testify are great and effective to use. No, I am not advertising or endorsing specific product or brands, I just want to share what works for me that may also work for your hair. Let us start with a review of my favorite oils. 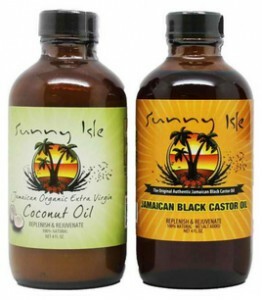 I love using this Jamaican black castor oil which I bought from Sally’s. Many believe that the black castor oil is more effective than the lighter color castor oil. As you may know, black castor oil has been used as a natural remedy for centuries for a wide range remedies for skin problems, hair and scalp problems and even aches and body pains. 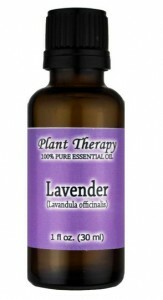 Prevents cysts and lumps forming in the breasts. Black castor oil moisturizes your hair, thickens each strands and softens your hair making it more healthy and manageable. Another type of natural oil that I love using is the 100% pure cold pressed grapeseed oil, which by the way gives the same benefits as black castor oil. Grapeseed oil has Vitamin E, proteins and minerals that nourishes and moisturize the hair and scalp, thus making your hair grow faster, shiny and healthy. 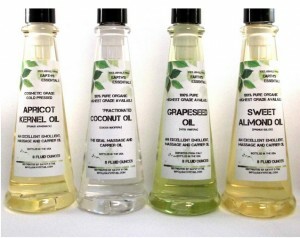 Grapeseed oil also help fight dandruff by moisturizing the scalp and improving blood circulation on your scalp. Help protects skin’s natural collagen and slow the signs of aging. I guess anyone who has tried it can agree that grapeseed oil is amazing indeed! 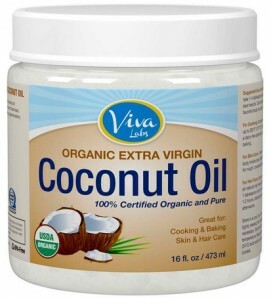 Another essential oil that does amazing wonders to my hair is the unrefined virgin coconut oil. This oil has many uses and benefits, from treating your scalp and dandruff issues, moisturizing your skin, treating skin issues and any more. What I use is this Organic extra virgin coconut oil by Viva Labs, which comes in a jar, it is solid when in cooler temperature and melts during warmer temperature. This is good for cooking, hair treatment and skin care. Another great product that I like using for my curly thick hair is the Sheamoisture coconut & hibiscus curl enhancing smoothie. I so love this product, I use this as my leave on conditioning repair cream when my braids at night and wrap up my hair. 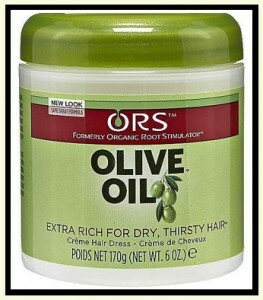 This product is proven to enhance curls, restores moisture, body and shine to your hair. As for my shampoo which I only do once a week, I use Marc Anthony’s true professional repairing macadamia oil sulfate free shampoo and conditioner. I only shampoo once a week and do a co-wash in between. It is important that your shampoo does not contain any sulfate because sulfate dries out your hair. Herbal Essences Hello Hydration Moisturizing Conditioner is another great product that I use after shampooing. It is a perfect moisturizer conditioner that it will keep your hair hydrated with its Hawaiian coconut and orchid content, making your hair manageable, silky and smooth. 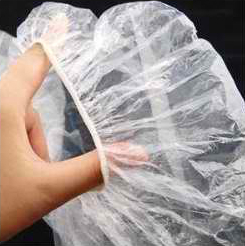 Another very useful hair product for me is this disposable shower caps. Mostly I use this whenever I do my hot oil hair treatment. After applying the hot oil hair treatment, I’d cover my head with this disposable shower cap and let it stay for about 2 hours before rinsing. Sometimes when I’m in a hurry, I’d also use a hair dryer instead of a shower cap to heat my hair a bit for few minutes then rinse. You can get these disposable shower caps from amazon or from other online stores for below $3.00 and the pack that I bought already contains 30 pieces of it. I even learned that some uses a wet hot towel to cover their head after applying a treatment cream on their hair, and rinse after 30 minutes which also works fine but it’s kind of a little inconvenient for me. But do whatever works for you, as long as you’re getting your hair in shape and healthy. These are all the products that I use that make me and my hair happy, Some of these products may be compatible with your hair type, and I suggest that you should experiment, do a trial and error test which product works for your hair. You literally want to see yourself in a whole different color. The problem is you do not want to become the next victim of the Hair Dye Urban Legend. You know the horror story that your Aunt, Sister, Cousin or Friend would warn you about when you consider dyeing those locks of yours –it makes you second guess your decision. Never fear, all you need is the right information to make it work one-time big-time. It’s never a risk if you know what you are doing. Here are some things to consider before you reinvent the color of your natural hair. To determine your proper hair dye, Warm and Cool Tone Classifications are used. Underneath them are subgroups Hair Undertones, Skin Tones and Eye Color. If you are a Warm Tone Woman in two to three out of three subgroups, then the hair dye best for you are auburn to coppery shades. If you are a Cool Tone Gal in two to three out of three subgroups, creamy blonde and ash brown would work best for you. Hair Undertones: go outside and check the strands of your hair. Better so, check your childhood pictures (I know you think you look dorky and unflattering but trust me, you look adorable with that bow). You’re a Warm Tone Girl if your strands are reddish or gold. You’re a Cool one if your hair is ashy (grayish) or beige. Skin Tone: get up close and personal with the veins on your wrists. If they look green, you’re under the Warm Tone Classification. If they’re purplish or blue, you’re in the Cool Tone. Eye Color: look deep into your eyes (make sure not to gaze so intently with someone else inside the room, you both know you’re pretty already). Warm tones have hazel eyes or brown eyes with golden flecks. Cool tones have blue eyes or solid brown eyes. Now that we know if you’re under Warm tone or Cool tone, the next step is to find the color you have in mind that suits you. But it doesn’t stop there for that color that you have in mind has a variety of shades that you can choose from. For dark skin tones, whether you’re a Warm Tone or a Cool tone, there are specific shades in Blonde, Brown, Black and Red that you can choose from that compliments and contrasts your dark skin. So go ahead, let us help you get that hair color you have in your mind one-time, big time! 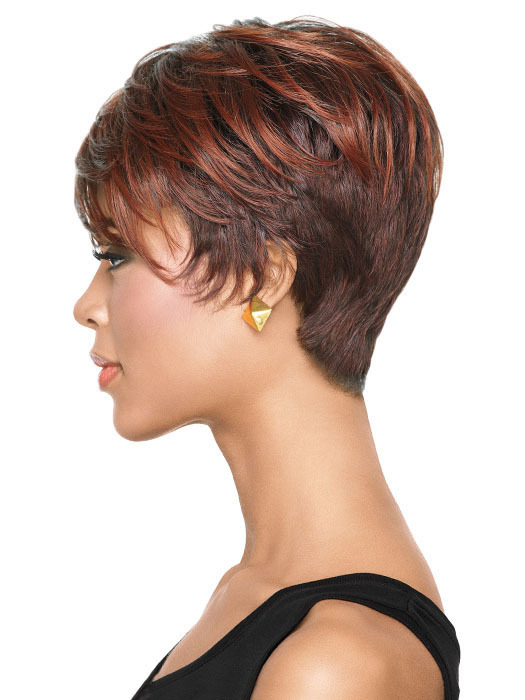 Tapered Tomboy – Red hair color on dark skin – Get it here! 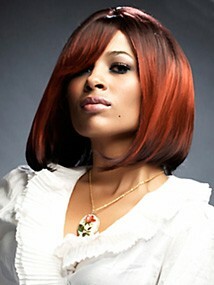 Red hair highlights the red undertone of brown skin. Look lively in Auburn colors by its obvious contrast to your toasty skin tone. Blow dry hair to the side. Give the finishing touch with a light spray or soft pomade. This hairstyle would look great in all face shapes. Long oval shapes will wear this well the most. 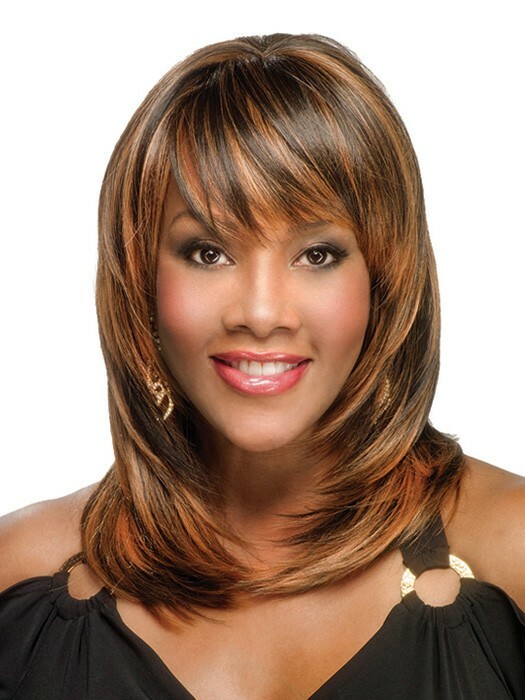 The full bangs of this hairstyle subtly give a fuller width on the face. Straight to wavy hair would carry this look with hair density between medium to thick. Remember not to wash your hair for 48 hours after dyeing. Make sure to flat iron your locks after dyeing to lock in the color inside the hair shafts. Add some barely noticeable red highlights to this do for a more natural look. Jozefina – Cinnamon hair color on dark skin – Get it here! Cinnamon hair color still has enough of red’s passion to turn heads at every direction. Darker and richer than most red colors, it has a blend of brown, red and a blush of burgundy that beautifully bounces off the light. This color looks best in winter clothes color palettes. Use shampoo with moisturizer before conditioning your hair. Apply your favourite curl crème, gel and hair oil. Run a wide toothed comb to evenly distribute the products from roots to tips. Blow dry with a diffuser until its half damp then let it dry naturally after. This hairstyle works best to any face shape with medium to thick hair. If you have medium to lighter skin tone, go for lighter shades of red. 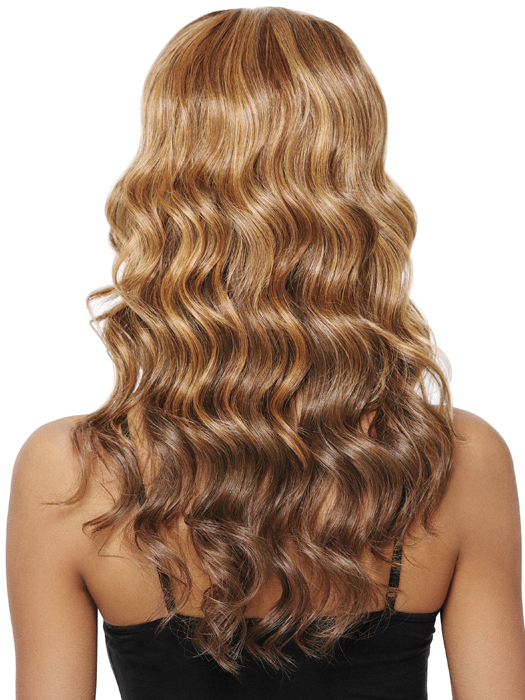 Use hair oil during the day to retain the moisture in those curls and prevent frizzing. Use shampoo and conditioner specifically designed for color-treated hair. 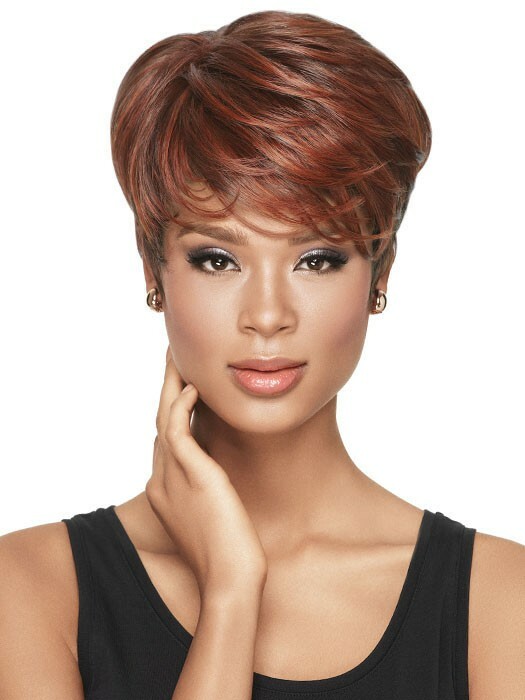 Polished Babe – Red hair color with dark skin tones – Get it here! Pure red, surprisingly, beautifully contrasts with dark skin tones. You’d definitely attract attention when the sun’s the highest, giving you a special scarlet glow. Dry air your locks or smoothed them out with a flat brush. Apply a modest amount of smoothing serum. Take small sections and use your flat iron to smooth them out with reasonable heat. Wax the ends to accentuate your bob or use a small amount of styling paste. This hairstyle would frame oval, round, heart and diamond faces well. For fine hair, make sure your flat iron does not exceed 250 degrees. You can go a little farther with thick, coarse hair but don’t exceed 375 degrees. Dyed hair tends to get dry, not only should you use moisture rich conditioner, you should also use a moisturizers. Wash dyed hair with the coldest water you can stand. As long as your hair is dyed, it’s dry from all the chemicals. To decrease the potential damage, it’s better to wash with cold water that hot water. Blonde Hair Color for Dark Skin – Get it here! Blondes too, surprisingly go well with dark skin tones due to the beautiful eye-grabbing contrast. This is especially true to light brown to medium skin tones. Go for dark blonde colors such as champagne, strawberry and cobbler blondes. Avoid bleached and platinum dye colors for it will make dark skin tones look pale just a little bit off normal. After washing, apply texturizing lotion on damp hair. Comb through with a round brush to distribute evenly and blow dry hair. Using a medium barrel curling iron, hold it in a vertical fashion to create soft loose waves. 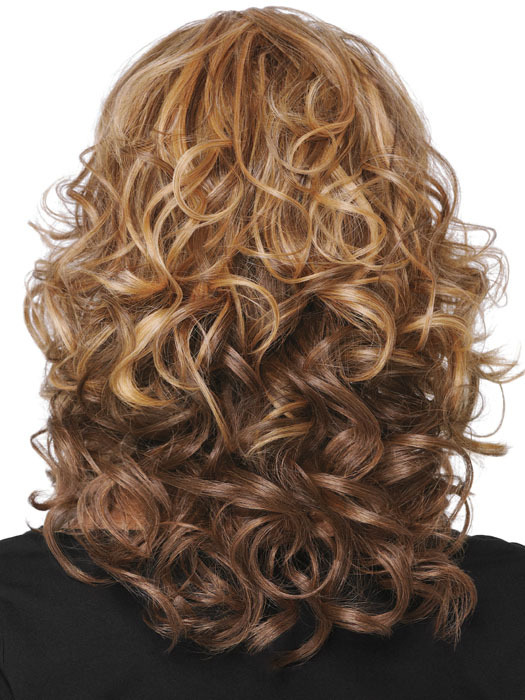 For a natural curl effect, vary the size of hair section and curl direction. Use hairspray to hold style in shape. If you have a round, heart or oval face, this style will work for you especially if you have fine to medium hair. Choose a large-sized waving iron to create fuller and deeper waves. Use a weightless hairspray product to avoid long hair pulling out the waves by its own weight. Don’t forget to protect your hair from the elements. Dyed hair is dry hair and exposing it to radiation and wind increase the damage it takes. 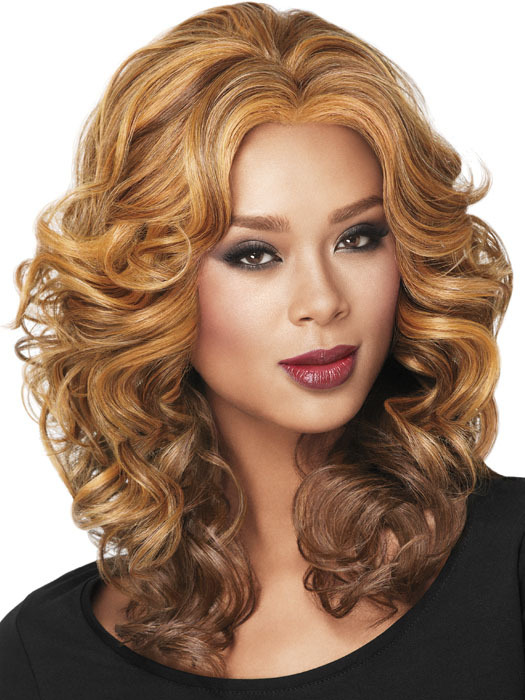 Casual Curl – Brown with Blonde Highlights on dark skin – Get it here! In choosing brown as your new hair color, it is important to use varying shades of brown, possibly with added blond highlights to avoid looking “mousy”. Use thermal protection on your locks. Separate a large section of hair from ear level and below. Tie the rest of hair up into a bun to get it out of the way. Using a medium-sized iron, clamp hair sections and curl hair away from the face. Spray it with hairspray to hold the curls. Drop the top section and repeat the process. Hold it again with hairspray to hold. This hairstyle is best in framing Oval, Heart, Diamond, Round, Oblong. Make it a habit to hydrate your curly locks using a shine spray, serum or shine spritz. If you are planning to redye, do it every month or so to allow it to recover from the chemicals. Don’t forget to have a trim every once in awhile. Hair ends dries fasted and causes split ends especially dyed ones that gets dehydrated from the chemicals. 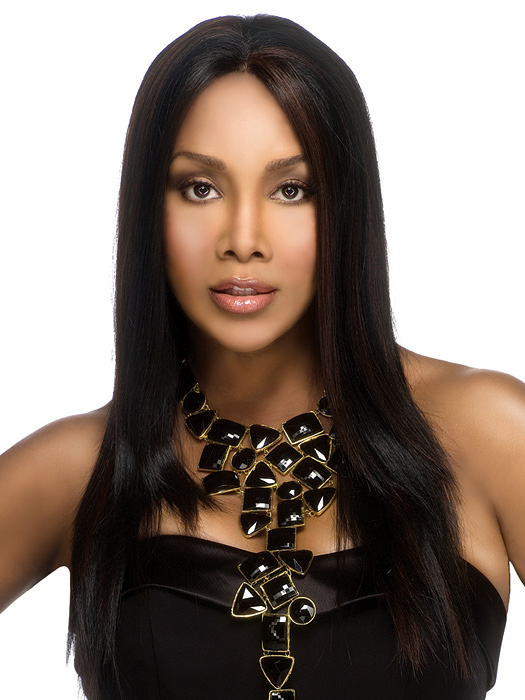 Goddess Wave – Highlights with Hair Color for Dark Skin tone – Get it here! For cool complexions, ask for heavy highlights –meaning extremely light brown highlights to add the “Oomph” to the natural color of your hair. For warm tone women, honey highlights would do. On dry hair, spray with light hold hairspray. Parting your hair to the side, brush hair smoothly. Using a large barrel of iron, curl large strands measuring 2-inches in width. The direction must be away from the face. Continue process to the rest of your hair. Spray hair with medium hold hairspray to keep hairstyle in shape. Fortunately, this style works with any face shape with hair density ranging from medium to thick. Try using weightless conditioner to make the curls last longer before styling your hair. You should not only focus on hydrating your hair on the outside with products, you should also hydrate yourself from the inside. This means drinking water and getting water from juicy fruits and vegetables. Always let dyed hair air dry if possible. The heat from flat irons and blow dryers can make hair porous from lack of moisture. 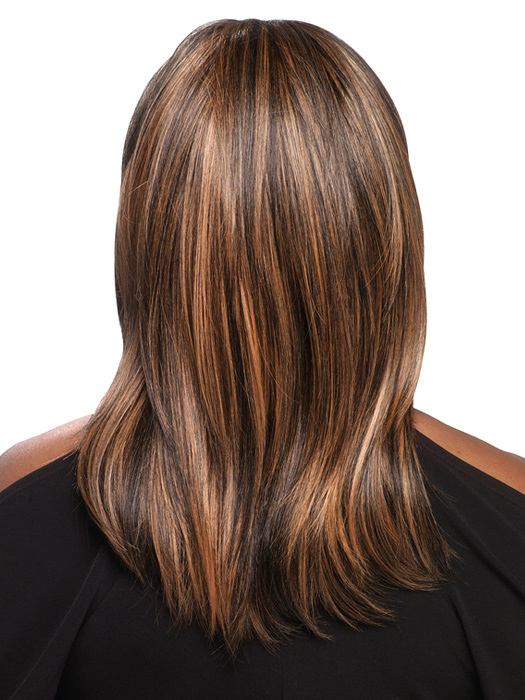 Highlights with Hair Color for Dark Skin tone – Get it here! If you are a warm tone woman, the hair colour is especially for you. Blow dry and use a round brush to shape the ends und and toward your face. Follow through with a flat iron to smooth and define the ends even more after hair is completely dry. This hairstyle will flatter round and square faces by giving fullness in narrow features and adding the illusion of length. To prevent overcoloring during touch-ups, make sure you only color the parts of the hair that has grown out. You don’t need to dye your eyebrows too, the tiny detail of contrast is acceptable. Javant – Hair Color for Dark Skin tone – Get it here! Leave hair shiny, in place and with moisture protection with hair wax. Always remember to start off with healthy hair before dyeing your whole head. You can use a glaze product to add more shine in your hair. But it won’t add in color. It will only prolong the color in your hair.